All new cars weighing less than 10,000 pounds sold by May 2018 must include what is commonly known as a backup camera, the U.S. Department of Transportation’s National Highway Traffic Safety Administration said Monday. The so-called "final rule" by the agency paves the way for the technology to become as standard as headlights on new cars. The agency first added what it refers to as "rear visibility technology" as part of the agency's New Car Assessment Program (NCAP), which assigns safety ratings to makes and models of new cars. The NHTSA identifies the safest cars, as well as the safety technology it recommends, on safercar.gov. According to the U.S. DOT, 210 fatalities and 15,000 injuries per year are caused by backover crashes, and nearly a third of those involve children under five years of age. "Safety is our highest priority, and we are committed to protecting the most vulnerable victims of backover accidents—our children and seniors," said U.S. Transportation Secretary Anthony Foxx, in a statement. "As a father, I can only imagine how heart wrenching these types of accidents can be for families, but we hope that today's rule will serve as a significant step toward reducing these tragic accidents." Most new cars include this technology already, which combines a large, dash-mounted screen with a camera mounted in the rear of the car. The NHTSA said there will be requirements governing image size, linger time, response time, durability, and deactivation, but the most important was simply the ability to see in a 10-foot by 20-foot zone directly behind the vehicle. The Auto Alliance, a group comprising 12 top automakers including BMW, Chrysler, Ford, Toyota, and Volvo, applauded the rule and asked the government to go futher. Two-thirds of the top 50 cars in terms of sales already include this backup camera technology, it noted. 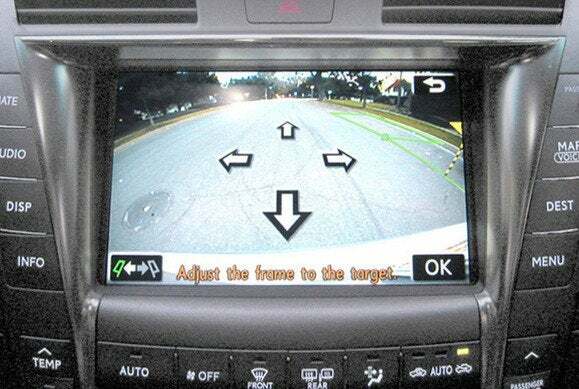 "Today, the Alliance is petitioning NHTSA to allow automakers to use cameras as an option to the conventional side-view and rearview mirrors," the Alliance said in a statement. "Today’s mirrors provide a robust and simple means to view the surrounding areas of a vehicle. Cameras will open opportunities for additional design flexibility and innovation." While backup cameras may seem like a luxury item now, they'll be standard in a few years. But so, apparently, will the dash-mounted display. Which will be the most important addition to the car of tomorrow?